located on the famous Fistral Beach in Newquay, Cornwall. at the Home of British Surfing. WHICH INCLUDES ALL THE EQUIPMENT YOU’LL NEED TO GET YOU UP ON YOUR FEET. surf lessons in Newquay whatever your level! 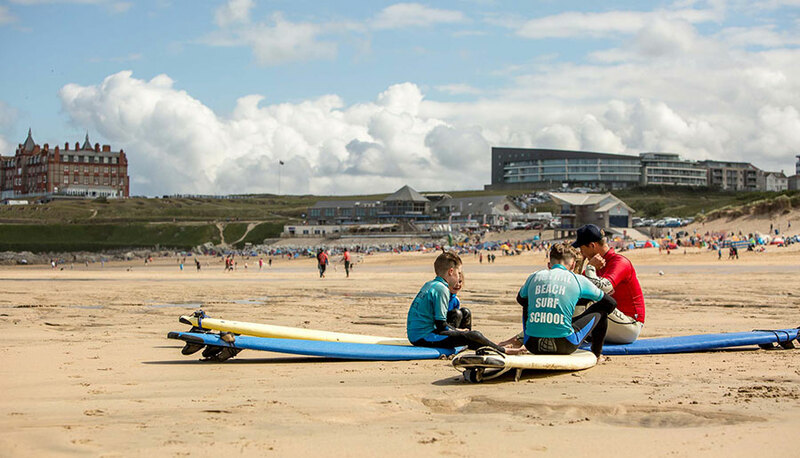 Being based on Fistral Beach means that we can make the most of the lessons (and wave count!) as we only need to wander to the water’s edge with the equipment. We have a very skilled coaching team at Fistral Beach Surf School who can coach a huge range of abilities from beginners to competitive surfers. Enjoying your surfing experience with us at Fistral Beach guarantees you will have one of our professional surf coaches; alongside being qualified surf instructors and lifeguards they are experienced surfers who are passionate about surfing and getting everyone involved in surfing.